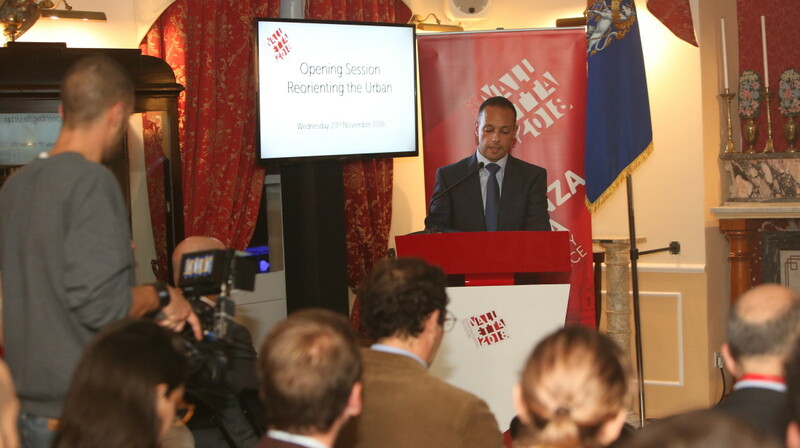 Valletta 2018’s conference Cities as Community Spaces, which explores the power of community spaces in transforming cities and the everyday lives of their residents, was opened earlier today at the King’s Own Band Club by Valletta 2018 Chairman Jason Micallef together with the Head of European Commission Representation in Malta Elena Grech. This is a very exciting time as the Valletta 2018 programme intensifies, calling for everyone to participate. This conference brings together experts hailing from a variety of fields such as urbanism, art, digital media, community work and critical theory to discuss the evolving role of public space and the ways in which different community groups make use of their urban environment for creative, political and communal expression. The conference has different parallel sessions which focus on a variety of topics including community regeneration, the interaction between physical and virtual space, the use of public space for protest and contestation, and the use of space for creative expression. The sessions will be held at various community spaces around Valletta, including the King’s Own Band Club, Splendid in Strait Street, San Ġorġ Preca College Valletta Primary School, Spazju Kreattiv at St James Cavalier and the Crypt of the Church of St Augustine. Conference keynote speakers include author, editor and urban flâneur Shawn Micallef, urbanist and co-founder of the Urban Institute (Riga) Jonas Būchel, artist Tania El Khoury, Open Works Lab co-founders Giuliana Fenech and Renzo Spiteri, Yes We Camp co-founder Nicolas Détrie, urbanist Christian Dimmer and political and cultural sociologist Paolo Gerbaudo. The conference will be running till the 25th November 2016.